Search RadharcimagesIt was one of those offers I couldn’t refuse. Id better get those Florida photos finished quickly then! 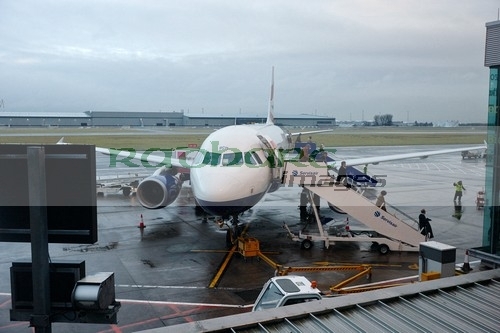 British Airways plane unloads at wet Belfast City AirportThat’s how I came to be sitting in a damp, wet, dull, overcast, Belfast City Airport in the middle of November. I had been working with my friend Stephen Maguire on his Memory Lane tribute to the 40s, 50s and 60s for over a year now. We shot the PR and promotional stills over a year ago in Belfast and now it was time to take the show on the road for a number of initial dates. Unfortunately I would miss the first couple of gigs due to photographic contract commitments here in Ireland but would be there for the major road trips. They weren’t going to be road trips in the traditional sense as the show was built around a couple of key members and the rest of the band would be hired from local talent close to the venue who would practice by skype. I was interested in this whole concept, particularly as with my last trip to Canada I realised how vast the place was and how people adapted to travel 5 or 6 hours for a couple of hour gig plus practice then drive home again. It was going to be a completely different experience in temperatures that wouldn’t get above -16C though! My destination was once again Saskatoon, Saskatchewan but during winter the flight schedule was a lot different from my previous trip. I had to fly over Saskatchewan to Vancouver then a few hours back so decided to split my trip up with a couple of days in Vancouver to break me in to the Canadian winter gently. I got there about 6 in the evening after leaving my main bag at the airport and taking a small bag with my camera gear and a couple of sets of clothes and headed into town. I had emailed a friend I met on my last trip who had just moved to Vancouver to ask if they wanted to meet up for dinner at some point when I was there. As she was off to Mexico in the morning she said to meet them at 7! Nothing like hitting the ground running. We agreed to meet at the restaurant and I just dumped my bag at the hotel, looked at the map, thought ‘that’s not that far’ and walked off out into the wet rainy Vancouver night. On the half hour walk to the restaurant I realised Id arrived in the Belfast of Canada. Cold, wet, raining, dark at 3pm and it was exactly like the place I had just left. Only in the morning did I realise that Vancouver has taller mountains, well at least I assumed they were taller as they disappeared into the rainclouds. After half hour standing outside the restaurant waiting on my friend I thought she and her boyfriend had stood me up, but Id give it 10 more minutes. Of course I hadn’t yet bought a local sim card and couldn’t get net access to message her on facebook. A great nights craic was had, particularly as it was a greek cypriot restaurant and I was talking to the waiters about being there a couple of years ago. Of course the guy at the table next to us just happened to be from Belfast and who at one point lived about a half mile away from us, the usual ‘you must know..’ came out and it turns out my dad was friends with his uncle and I went to school with his cousin! Small world, but I did point out he had moved from one rain soaked city to another and he just laughed. 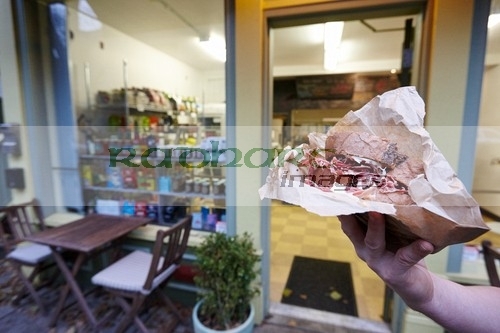 At kicking out time we said goodbyes and I arranged to call to my friends boyfriends cafe over the weekend for a bit of a yarn and one of his famous deli sandwiches! My friends had warned me that my hotel was down in the ‘red light district’ of Vancouver and to watch myself and hide the cameras. I just laughed this off as Id been to Canada before and how bad could it be, besides which I was from Belfast, had a bottle of wine in me and could swing my 3kg camera and leave a nasty dent in the head of anyone who even scowled in my direction. I did feel safe the whole time in Vancouver, venturing out at night a few times but not knowing the area decided discretion was the better part of valour and to go straight home after buying a Canadian sim card for the 5-6 weeks I was here. 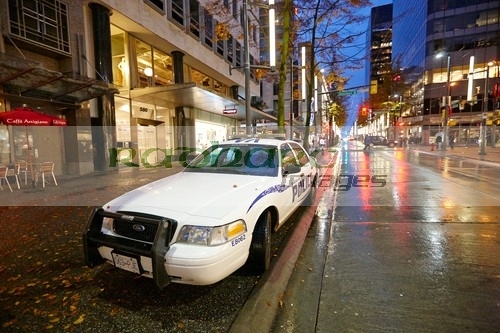 Vancouver police on the streets at nightMy hotel was ok, it wasn’t the greatest and it wasn’t the worst. On the border of the ‘red light district’ and student areas it was in a good position for cheap eating and did an ok breakfast. Id picked it on location and price and there was a really good 5 star hotel with sunken bath, large flat screen tv and hot and cold running room service for only 10 bucks more a night but I thought Id do my usual and be running around day and night and only use the hotel to sleep in. …at least it wasnt raining! The hotel was above what looked like an excellent old 2nd hand bookshop which I’d love to take a rummage around but I was limited in the luggage weight and I didn’t want to waste daylight when I could be out exploring..
Knowing now of course that nothing really opens to 10am I had a couple of hours walking around the place myself. I’ll never slag off Belfast tourism again (well I will), there is another rainy city with nowhere open in winter cold, wet, etc etc..
By the time most of the shops opened I was beginning to lose the will to live but I had got a few tips the night before for good coffee shops (there seems to be a coffee shop on every corner in Vancouver and even then ones between the corner coffee shops). I felt the 4 days I was here in autumn would probably be 3 days too many. 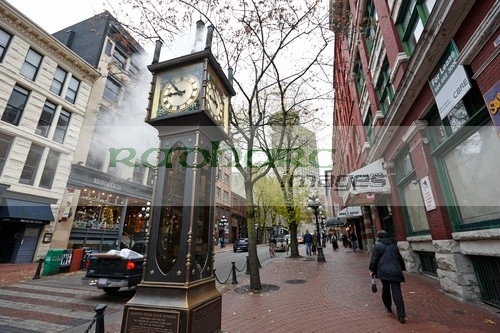 I took a wander around an almost deserted Gastown and down to see the famous steam clock. Vancouver Gastown Steam ClockI do now feel for tourists coming to Belfast on one of the 350 odd days its not dry and realised that other than coffee shops and fast food places there was nowhere to sit. So having wandered round gastown, chinatown, the red light district, the historic district, false creek, back to downtown and through every shop I could find I realised that saving the extra 10 bucks instead of that big tv, sunken bath to soak my rain damped bones and piano bar with elevator music wasn’t exactly the greatest decision I had ever made. A couple of hundred photos later that I know may never sell I thought Id cut my losses, get something to eat and head back to the hotel and see what was on the TV. Yes you heard it right, 3pm, friday night in a new city and Im thinking of getting back to the hotel with a sandwich, checking my email, getting into bed, watching tv for a few hours and going to bed early. Many people think this is a glamorous lifestyle travelling around the place taking photos but when you have left all your clothes in a big bag at the airport an hour away and you are wearing all the dry clothes you now possess and the rain starts then falling short of once again buying a new set of clothes in a foreign country through necessity its time to call it a day. As the blisters were starting to form I reached the West End but couldn’t find my friends shop. My Sat nav on my phone took me to the exact spot it said it was on the map, unfortunately that wasn’t where the shop actually was. I was just outside a small local market with a food court which served many purposes. 1. it was dry 2. it had free wifi 3. it was dry 4. it was heated 5. it had toilets 6. it was dry and 7. it did a nice soup and sandwich. So whilst waiting for my soup and sandwich I did a splash and dash and logged on to the wifi to check my facebook for the directions. As my soup and sandwich arrived I realised I was less than 100 yards in a straight line away from my friends cafe the Cardero Bottega. Pretending I just hadn’t eaten we chatted between customers for what could have been nearly an hour. I was trying not to give away the whole ‘I have nowhere else to go’ vibe whilst standing as close to the heater without actually clinging on to it for dear life. After discussing various food options I opted for a Reuben Sandwich would really would have choked a horse and that would do me for my dinner that night with my sad life of watching tv in my boxers in my hotel room. He did give me the contact details of a local photographer who organised photo walks if I was interested. He knew there was one tomorrow. Now again I was lying by saying I was interested as to be honest, wandering around a city in the rain with a bunch of amateur photographers talking about bokeh and taking artistic photos of leaves in the street drains, is up there with sticking pins in my eyes for things to do on a Saturday afternoon. I would have to be paid handsomely, have a gun to my head or just plain desperate/stupid to attend one of these things (can you guess where this is going yet?). 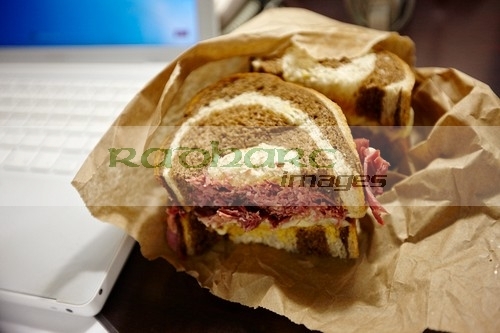 I wandered back to the hotel, just as the late afternoon rain started and scoured the tv channels for some films and devoured my superb reuben sandwich as I edited my photos. I’ll get up a little later tomorrow and go into town for the shops opening then head over to Granville market and then see where it goes from there. That photo walk is on in the mid afternoon so I might give the guy a shout for a coffee before/after it and tie up as the photos I were getting weren’t exactly tourist brochure material and it would be good to connect with someone local in case I was looking a more diverse year round set of images. Clothes are almost dry (the ones from yesterday I mean).